Artist Andy Hamilton / My Tarpit (http://www.mytarpit.com/) tell us about his work which was exhibited in White Lady Art Gallery (http://www.whiteladyart.com/) on Culture Night. A video insert used as part of Culture Night TV. A 3 hour live event broadcast on DCTV, Dublin Culture Night 2013. Irish Design Shop (http://irishdesignshop.com) showcases Irish designers’ work as well as houses artist workshops. We visited them prior to Culture Night for a chat and not only got a demonstration on jewelery making from Christina Keogh (http://www.christinakeogh.ie) but one on 3D printing from 3D Dave (http://www.diverse3d.com/blog/) as well! A video insert used as part of Culture Night TV. A 3 hour live event broadcast on DCTV, Dublin Culture Night 2013. 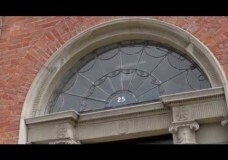 Catherine O’Connor takes us on a tour of Rathfarnham Castle (http://www.heritageireland.ie/en/Dubl…). 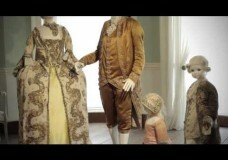 We find out about some of the history of the building and its architectural features as well as see some beautiful period costumes and dresses. A video insert used as part of Culture Night TV. A 3 hour live event broadcast on DCTV, Dublin Culture Night 2013. We were taken on a tour of Dublin’s Science Gallery (https://sciencegallery.com/) during the exhibition “Illusion”, curated by Richard Wiseman. A video insert used as part of Culture Night TV. A 3 hour live event broadcast on DCTV, Dublin Culture Night 2013. We visit the Lantern Centre (http://lanterncentre.org/) to meet one of the groups utilizing the space: Zurmukhti Georgian Ensemble (https://www.facebook.com/zurmukhti.ge…). We find out what Georgian folk singing entails and hear some beautiful harmonies from the singers. A video insert used as part of Culture Night TV. A 3 hour live event, produced by NearTV, broadcast on DCTV for Culture Night 2013. Mountjoy Square Society participated in Culture Night by opening the doors of a privately-owned Georgian house for a a musical evening. We were taken on a tour around the square and visited two of the residences to learn about both the history and architecture of these beautifully kept historical buildings. A video insert used as part of Culture Night TV. A 3 hour live event broadcast on DCTV, Dublin Culture Night 2013. 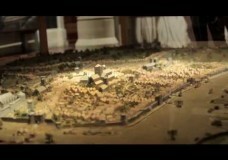 Sean takes us on a tour of Dublinia’s Viking exhibition (http://www.dublinia.ie). We learn about how Vikings first came to Dublin, their interactions with the native Irish and how the Viking era came to an end in Ireland. A video insert used as part of Culture Night TV. A 3 hour live event broadcast on DCTV, Dublin Culture Night 2013. Dublin School of Flamenco (http://dublinflamencofestival.com/sch…) participated in Culture Night 2013 by giving beginners’ classes at their studio as well as surprise performances on the streets during the night. We visited the lovely folks for an insight into what flamenco is as well as threw in one of our crew members in the beginners’ class. A video insert used as part of Culture Night TV. A 3 hour live event, produced by NearTV, broadcast on DCTV for Culture Night 2013.